Remember the Rolo pretzel treats that I shared last week? If you are anything like me, you made some while the kids were at school, and then you ate every single one before the kids got home. After all, if you left only one or two, there wouldn’t be enough for the kids, right? (Definitely!) You might as well destroy all the evidence so that there is no arguing. If you just can’t control yourself around treats (like me), then you need an excuse to give them away! I’ve got one for you. 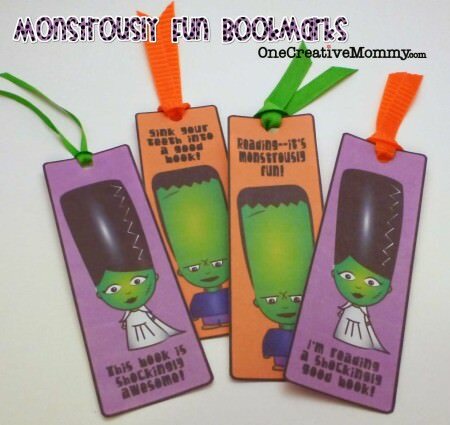 Print out these adorable Frankenstein (I like to call him Franken-kiddo) tags, fill a bag with treats (the Rolo pretzel treats work great), staple on the tag, and share the calories with the neighborhood! 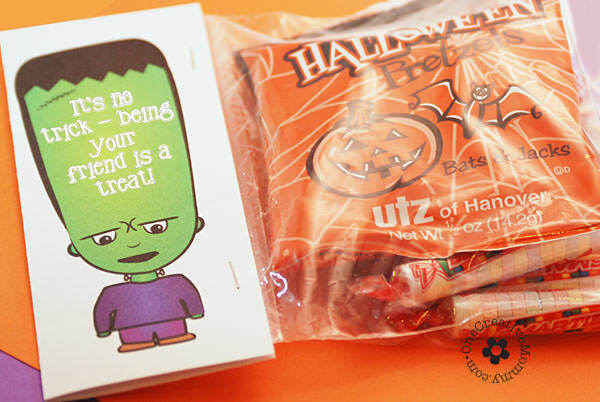 I hope these Halloween treats for friends work for you! I’d love to hear if you tried them. Click the download image below to make your own. 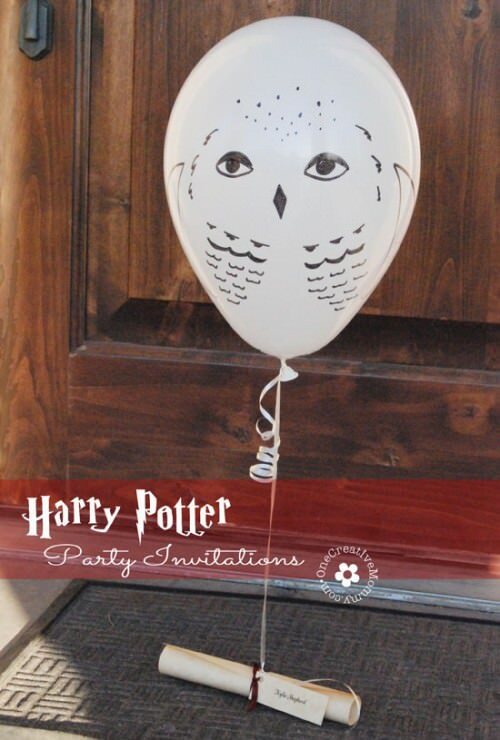 (There are two bag topper styles in each download. 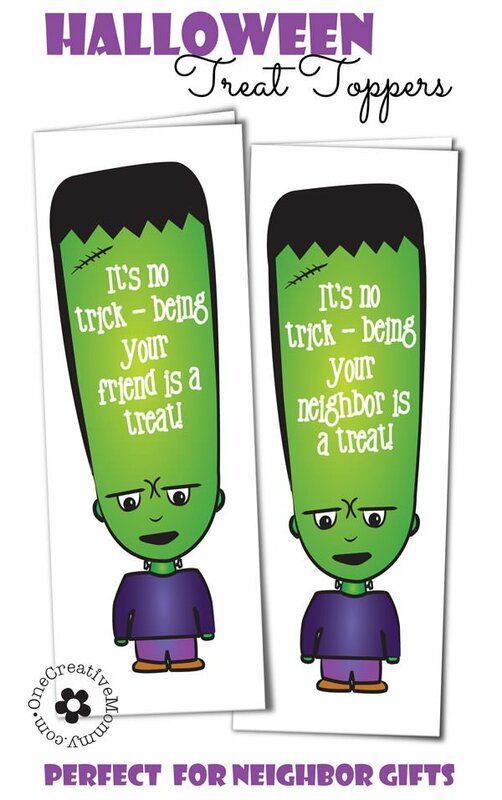 “It’s no trick–being your neighbor is a treat!” and “It’s no trick–being your friend is a treat!” Enjoy! 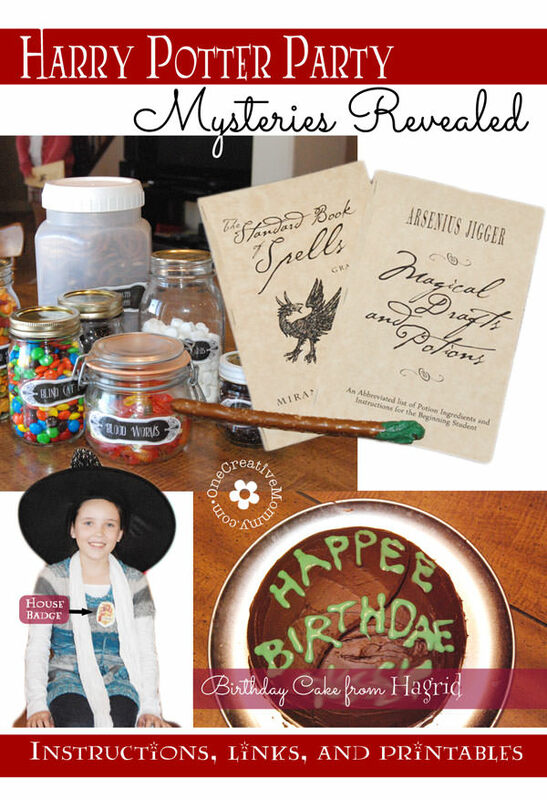 Don’t forget to check out my Harry Potter Party Printables. They’re perfect for Halloween, too! These are darling Heidi! Thanks for sharing. Thanks so much, Marcie. I always love visiting your linky party! I’m currently using your Frankenstein and Bride of Frankenstein motivational cards as a piano practice Halloween Challenge! My students have a Halloween song for the next 2 weeks and if they can fill out that chart for practicing the song 20 times they get a Halloween treat! (Some gorey tattoos or Halloween nail stickers) … THANK YOU so much for making these a printable :D Love them! 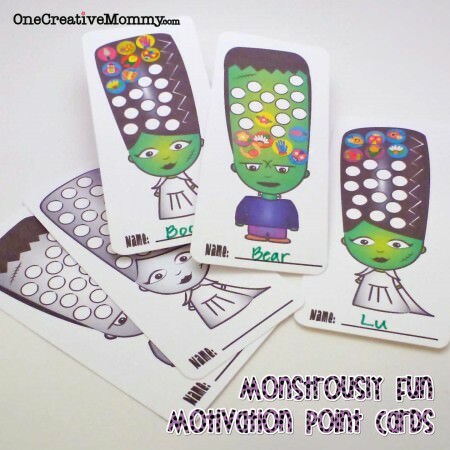 what a fun printable….so cute, Heidi!